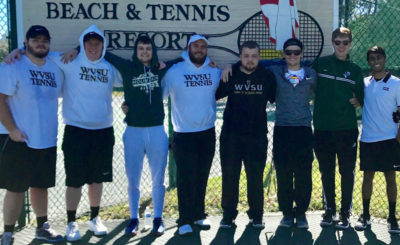 The Yellow Jacket men’s tennis team travelled south along the West Virginia Turnpike to take on NCAA Division II #33 and Atlantic Region #1 Bluefield State, and NAIA Bluefield College (Va.) on Sunday. Against Bluefield St., the Yellow Jackets fought hard but ultimately fell short against the superior competition, losing 7-0 in a battle of HBCU’s. In doubles action Ryan Mullins and Noah Fulks raced out to a 2-0 lead on the #2 Atlantic Region doubles team, before dropping their match 6-3 at #1 doubles. Dylan Jayasuriya and Zack Fraley dropped #2 doubles 6-1, and Ethan Cross and Austin Gessel dropped #3 doubles 6-0. In singles action Mullins dropped #1 singles 6-4, 6-1 and Fulks fought valiantly against the Atlantic Regional singles tournament finalist, but lost 6-3, 6-3 at #2 singles. Jayasuriya picked up a game losing 6-0, 6-1 at the third position. Fraley, Cross, and Gessel all failed to win games in the bottom half of the lineup. 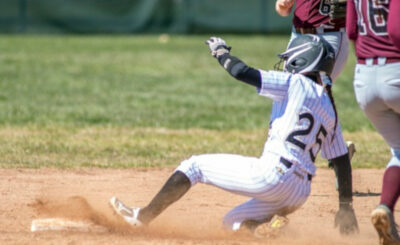 Against Bluefield College, State once again fought hard but fell short losing 9-0. In doubles play Mullins and Fulks dropped their match 8-2, while Jayasuriya and Fraley lost 8-0. Cross and Gessel lost #3 doubles 8-1. In singles action Mullins stayed on court for nearly an hour and a half despite losing 6-2, 6-2 at #1 singles. 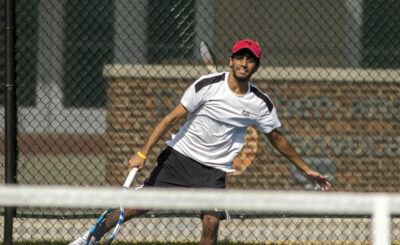 Fulks lost 6-0, 6-2 at #2 singles, and Jayasuriya failed to win a game at #3 singles. 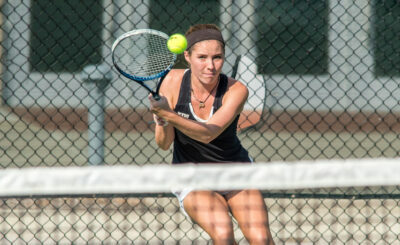 Fraley lost 6-1, 6-1 at the fourth position, while Cross dropped #5 singles 6-1, 6-2. Gessel closed the day out failing to win a game.